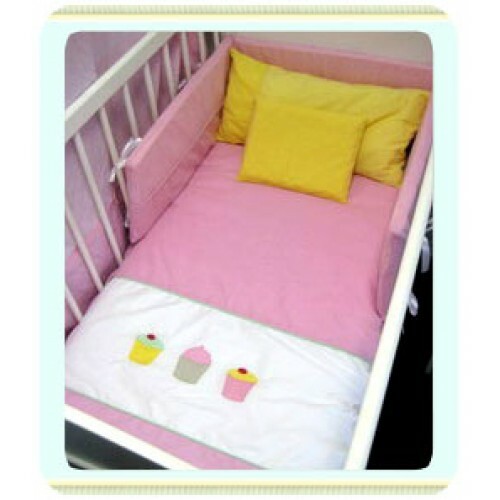 Cot Bumper and inner to fit a cot size 130 x 66cm. The inner is made from breathable foam amd is 30cm high. The cover is removable and machine washable. It has 2 panels with piping in the middle. Embroidery is an additional charge.